Yunanesca: Happy to meet You. Location : Hiding in my Imagination,Where are You? I'm new to here and wanted to say Hi and stuff. I'm glad to meet and make some acquaintances as well I wanted to learn more about understanding building and some Help in understanding. I've only had very little building experience I usual try to stay with it and prefect it best I can. I would love to learn from everyone here if you would have me I'm filled with many questions. I've built a few houses from blue print. They weren't the best it could be but it was for a haunted house contest believe me I asked tons of questions left and right. Upon learning the building factor I learned that Landscaping wasn't my strong point in the aspects of building and learning. I was always intrigued to keep building this house was my second house I ever tried to build, my first one wasn't the best either and also from blue print as well. 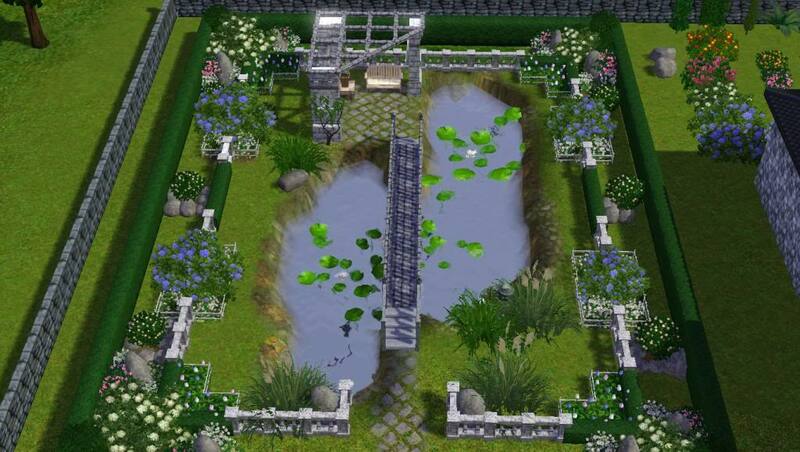 Now I'm in the re-make of my very first house I ever created and learning as I go on landscaping reading everything I can even though I know that not my strong point in the house, I learned that from the haunted house one. I'm more than happy to learn from every who's willing to teach and make Friends . P.s I hope I made sense writing this, sorry if I did confuse any one. Hello and welcome Yunie. You'll find we love to help and give advice here. We are a friendly bunch. Thank You, and it nice to Meet you MerryWiddow. I did manage to remember the dirt under the flowers I put the flower off to the right of the house are ever flower I laid out just to see them so I can make some time of decision of where or what kind of idea of flower to put around and stuff but I'm not very good at landscaping on that part and worried I'm somehow I'll over mix flowers in wrong colors. I read somewhere that You put certain ones in group but don't remember where was I read so much lately on this. I do hope to add a gazebo to the front of the house eventually. so I guess would you mind helping me with as suggestion of this. I didn't know where to writ this in this. feel free to move it. it all just came out at once and was spurt of moment to ask. Welcome Yunie! You will love it here!! Everyone is so friendly and we try to be as helpful as we can! I do like what you have done with the water garden. It looks formal. I hope that is the look you were going for. As for your question, I like to choose two or three colours of flowers mixed in with a bush. 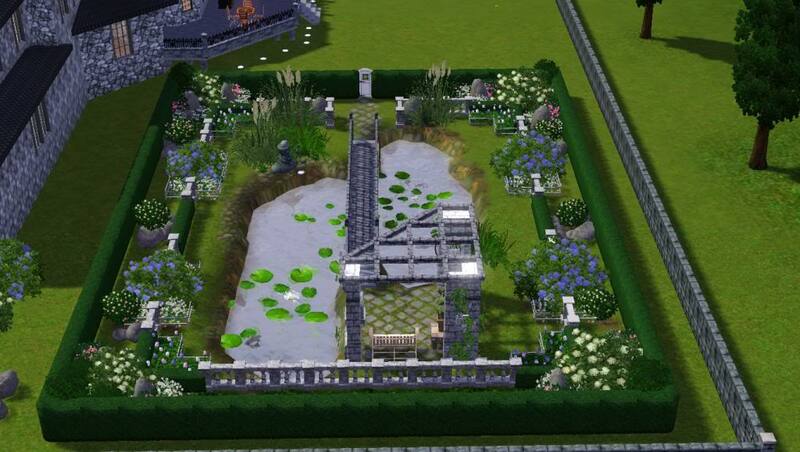 For instance, blue and white with a splash of pink, exactly like you have done in the water garden. You have lots of room on that property for a veggie garden and a small orchard. Maybe even a swimming pool and outdoor kitchen. I do have to say though, I am a little worried about your roof. There are so many valleys, areas that in real life water would pool and rot the roof. This takes away from the realistic look of the roof. Less is more sometimes. In other words, the fewer roof pieces you use the better. I love the circular driveway. It looks like a challenging and fun project. Thank You I was hoping I might of gotten the flower thing right, And yes I was trying go for a bit of a formal thing on the garden. I even had to re-color the tulips to match the Purple azalea's and the white daisy's . That small glass house thing up to the left of the House is the small Garden I had planned on making it a bit bigger I have the Stone Greenhouse set and yes I been trying figure out work on how to fix my wonky roof, It's quiet the eyesore from above. The House it's self is 2 stories, 6bd, 3.5 bath , plus basement 2 of the bedrooms are in the basement. The house is a challenge and lots of work when I first saw the house on blue print I wanted to work really hard to make this house good and Keep trying again and again if I fail at some thing to get it right. I'll have to look up this out door kitchen never heard of that before but sounds really interesting , I did however lose count at how many times I've repainted the drive way to get it right. Thank you very much :)for the wonderful information and suggestions it helps Me a lot. Hi Yunie - I'm Butterflyface, I live in SE England with my husband, 4 children (2 with Autistic Spectrum Disorder) and 2 cats. I teach the 'cello from home, but as I have connective tissue disease, I'm also doing a distance-learning degree in English Literature. So, as you can see, our house is quite busy! I don't get much time to play at the moment, but hopefully a bit more in the summer! I like to do a bit of building, a bit of playing - and quite a bit of lurking! Thank You Butterflyface, and it's wonderful to meet you :)and My that is a busy household :)and Me to I like being here Hunting all over the board Here reading stuff . I did learn that a Important factor for CFE and implementing stairs you use the Ctrl+wall tool to delete walls you don't need when I read the forums yesterday. I didn't know that before the ctrl thing. I knew I was missing something but wasn't sure why the CFE wasn't working right for me. I how ever had a sunken room for this house but wasn't sure how to make it work so I filled it in with the foundation again. Hello and Welcome Yunie A lovely garden you have there. HI Buttonsginger ,It's nice to meet you Thank you very Much I tried my best to get in between combination of English garden effect mixed with a traditional effect with pond added as well, which seem to make it come out very nice. :)been working on the gazebo in the front left side of the house and the pool. For some reason I tend to think outside of the box I guess that not a bad thing when it come to things. well some things. by the way I wanted to ask if I could add you guys as friend on my Page In Sims, If that was ok? Hi, Yunie. I like your build, especially the water garden. Lovely! Thank You Gramcrackers, it nice to meet you to. I love your house project! 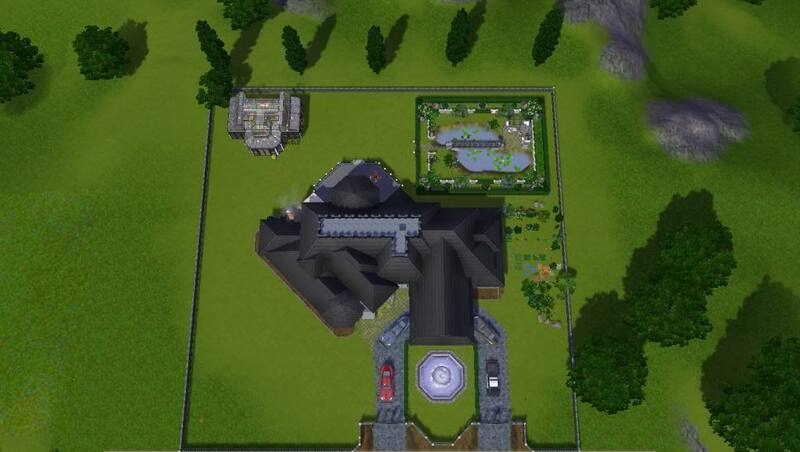 And I can see the trouble EA gives us with diagonal roofing. They never really seem to fit. I've done a lot of building and I still think it' a pain. I think you can't pick the wrong color. Just try to keep it to two or three, and stay with a core theme. To express this theme it's helpful to pick a tree that goes with your theme and then match up the other plants. Have one or two different plants of middle height and two or three of low height. Repeat them throughout the landscaping in clusters. I hope this helps for the beginning. Feel free to ask other as well. All depends on how big your lot is, how lush you want the vegetation to be. For formal gardens there are different rules again. Try to google pictures of gardens and landscaping, see what you like and try to create that same atmosphere. Thank you very much Le and It 's Very nice to meet you Yes I continued this topic in the building an Requests and Questions area as from here once I figured out where to post it in the right area I'm still working on it and it changed since these pictures, Yes that diagonal roofing is hard but still work a bit on that to. Subject: Re: Yunanesca: Happy to meet You.